Perma Grout 80 is a free flowing, non shrink super high strength grout mix. This Perma Grout 80 is supplied in a grey powder that requires only on site addition of water to form a ready to use grout slurry. We are the Manufacturer, Exporter and Supplier of the optimum quality Perma Grout 80 in the global market. Our range of Perma Grout 80 is available at market leading prices. Grouting heavy machine foundation which is subjected to huge dynamic loads. Grouting of column / stanchion foudations. Grouting of crane rails anchor bolts dowel bars, etc. 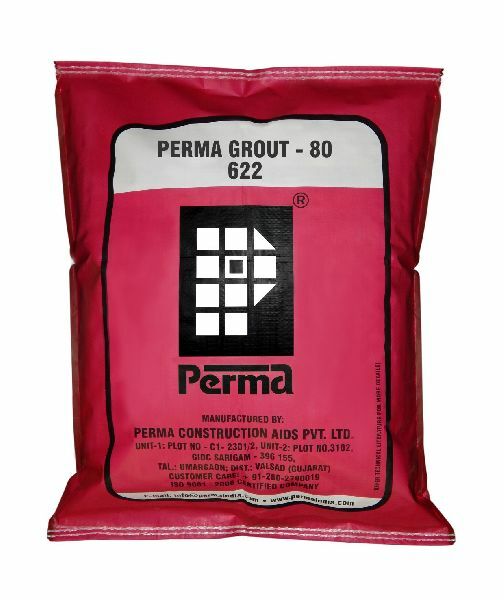 Packing : Perma Grout âï¿½ï¿½ 80 is avialable in 50 kgs Hdpe lined sack.